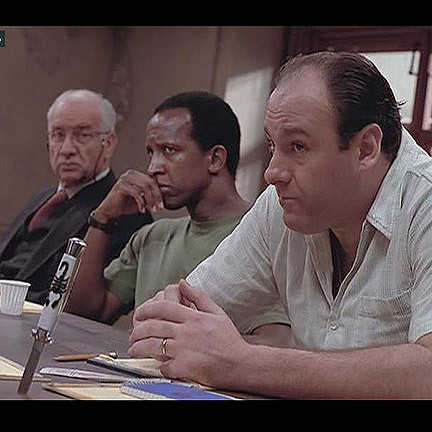 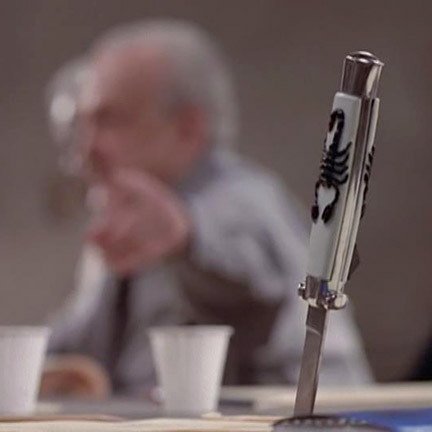 This prop knife was used in the 1997 made for TV film “12 Angry Men”, staring Jack Lemmon, George C. Scott, and James Gandolfini. 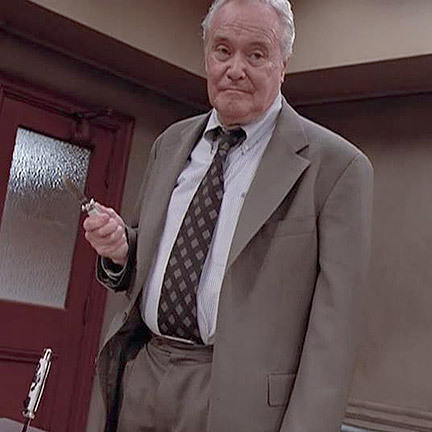 The film was a remake of the 1957 production staring Harry Fonda, Lee J. Cobb and Martian Balsam. 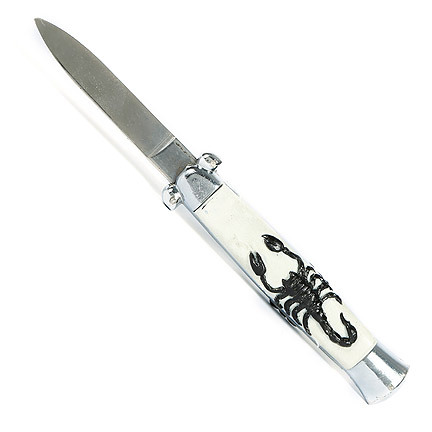 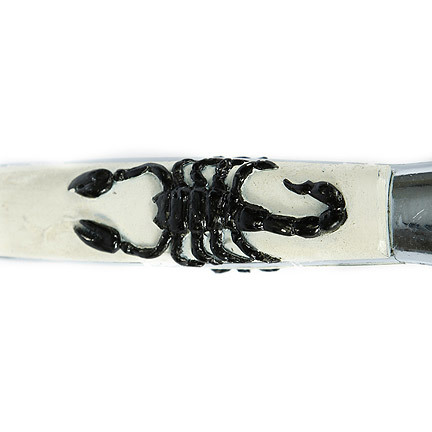 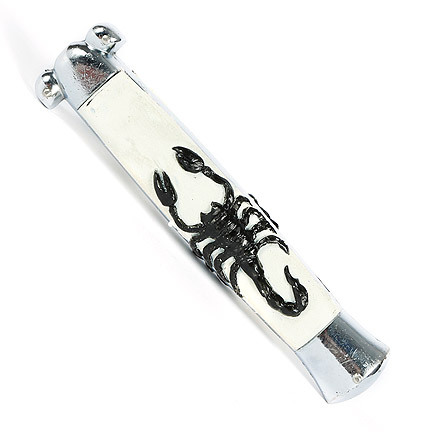 The custom made Hero prop knife has a white handle with a black scorpion design, and a faux metal retractable blade. 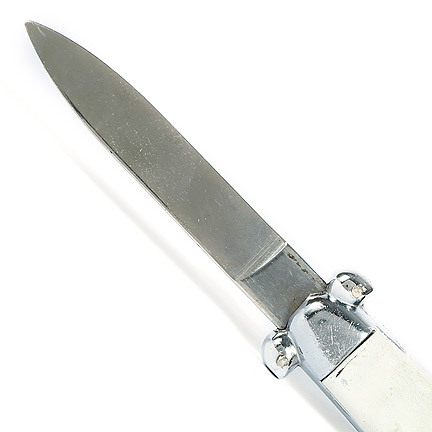 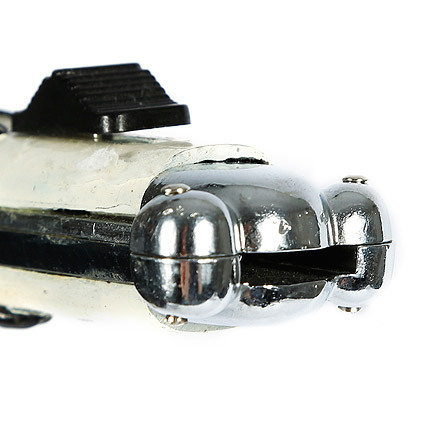 This prop knife was handled by multiple characters throughout the film, specifically in the scene where Juror #3 “George C. Scott” takes the knife and holds it to Juror # 8 “Jack Lemmon’s” chest reenacting what he believes took place in the murder. 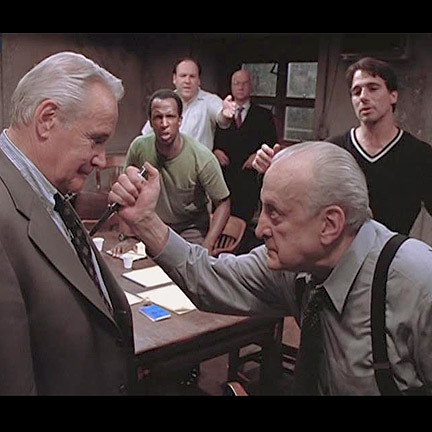 “12 Angry Men” revolves around a group of jurors’ and their difficulty in reaching a unanimous verdict for a murder trail of a teen boy accused of killing his father. 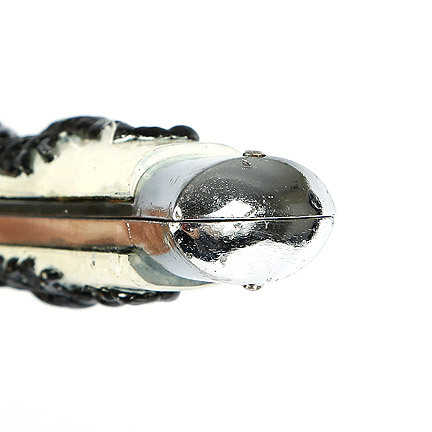 This item is in good screen used condition with wear from use in the film and is accompanied by a letter of authenticity from the prop master.